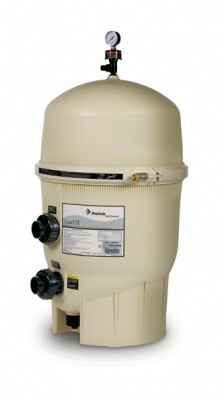 The Pentair FNS 48 Sq Ft Swimming Pool Filter is one of the high performance D.E Filters from Pentair. This swimming pool filter offers a high performance operation that will help keep your swimming pool cleaner longer. This D.E Pool Filter is made from a fiberglass reinforced polypropylene. This is an advanced chemical resistant formula that offers extra strength and more reliability. A D.E Filter is best at removing even the smallest of particles even as small as 5 microns. D.E Filters, especially the Pentair FNS 48 Sq Ft Swimming Pool Filter offers better pool clarity and better water quality. The Pentair FNS 48 Sq Ft Swimming Pool Filter is designed with special curved grids that will help maximize your pool’s filtration area. With a larger filter area it offers more performance and with a D.E Filter there is more time in between the times you have to clean out the filter. This filter comes with a Service Ease Grid Pack that offers easy access to the internal components for faster service. With a one of a kind inside design, it works to reduce the flow restrictions, which will lower the pump rate. This means a lower cost in energy bills. Some of the other features of the Pentair FNS 48 Sq Ft Swimming Pool Filter is the easy to remove filter grid pack that allows faster cleanout, which will save you time and money. This filter has a Tension Control Clamps that provides a more secure lockdown of the filter. It has 2-inch plumbing connections for maximum flow. This filter offers a 1-1/2 inch drain that provides effective and efficient cleanouts and a 100% draining system. The filter has a high flow manual air relief valve plus a constant internal air relief. These 2 valves work in conjunction with each other that will help to maintain a high performance filtration and it will also stop over pressurization. The Pentair FNS 48 Sq Ft Swimming Pool Filter is Model FNSP48; it has a 48 square foot of effective filtration area. It has a flow rate of 96 gallons per minute. The turnover capacity for an 8-hour run is 46,080 gallons of water. On a 10 hour run the turnover is 57,600 gallons of water and on a 12 hour run the turnover is 69,120 gallons. This swimming pool filter requires 4.8 pounds of D.E. Be sure to read all of the instructions before installation. Pentair offers a one-year limited warranty on this filter. Be sure that you read all of the warranty information and make sure that register you warranty to keep it in force. 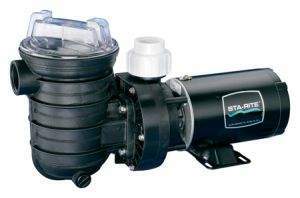 The Pentair FNS 48 Sq Ft Swimming Pool Filter is priced around $ 600.00. 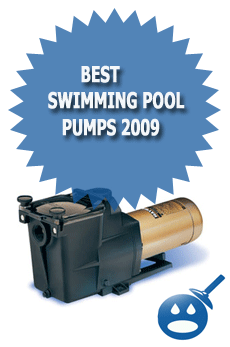 You can find the Pentair D.E Swimming Pool Filter at your local swimming pool supply store. Pentair offers other D.E Filter Models along with Sand and Cartridge Filters.